Do you carry the latest, Jillily Studio fabric line or Jillily Studio Notions? Then you're a Sweet Shop! 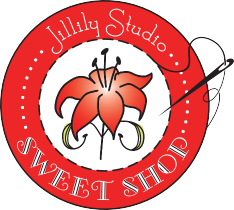 A Jillily Studio Sweet Shop carries Jillily studio products - from fabric to notions and patterns - the quality designs that your customers are looking for. Your customers will come to you to purchase their favorite Jillily Studio products.